Suspect killed, women freed in UPS hostage incident. Katherine Scott reports during Action News Mornings on January 15, 2019. LOGAN TWP., N.J. (WPVI) -- The gunman who fired shots inside a UPS facility in New Jersey, and took two women hostage, was shot and killed by police, authorities confirmed Monday. Thirty-nine-year-old William Owens of Sicklerville, N.J. was hit by police gunfire after he and the hostages had exited the building, the state attorney general's office said. Owens was armed with a handgun at the time, according to the A.G. He was pronounced dead at the scene. Gunman dead after hostage incident at New Jersey UPS facility as reported by Trish Hartman during Action News at 11 on January 14, 2019. The medical examiner left the UPS Mail Innovations facility around 6:30 p.m. Monday. Authorities say the two female hostages were not harmed. Though shots were fired by Owens when he first entered the building, no injuries were reported. "The guy come up there with a gun, beating her all in the face and then shot the gun up in the air in front of us," said one witness. "He was like 'I'm going to kill her, she was cheating on me.'" Owens was not an employee at the UPS facility, family members said, but did work at another business at the same industrial park. The attorney general's office said the investigation is ongoing. Officials say UPS hostage situation is resolved. John Rawlins reports during Action News at Noon on January 14, 2019. Family members said he was an honorable man and it was surprising to see what happened. "He is a good guy. He would have trouble from time to time, you know, messing with the wrong female if you know what I mean," cousin Gail Wright said. 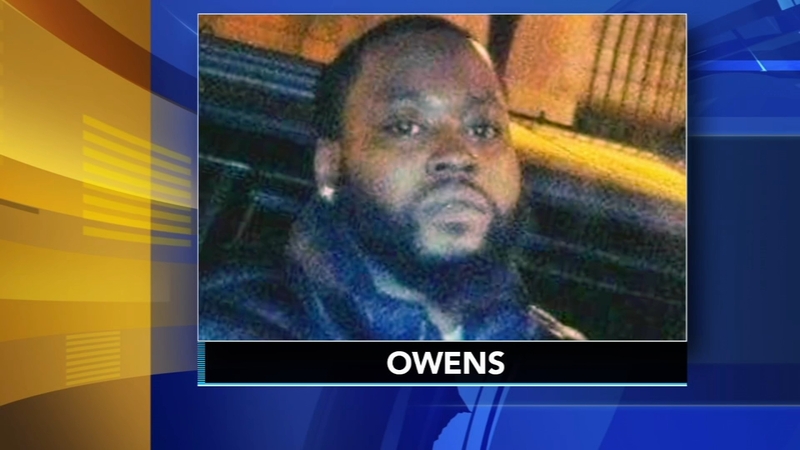 "Nobody seen it coming," Owens' niece said. "This came out of nowhere." Owens' mother declined to talk. When asked if Owens had any mental health issues, current girlfriend Paris Thomas said, "Maybe." Thomas said she didn't even know Owens owned a gun. She said Owens had been struggling recently over the loss of his brother. The incident happened at the facility on the 200 block of Birchcreek Road. Authorities say the suspect entered the building shortly before 8:30 a.m. Monday and fired shots. Hostage negotiators began talking to the gunman by phone as he held the women in a barricaded room. UPS employee speaks on active shooter situation in Logan Twp., N.J. on January 14, 2019. Prosecutor Charles Fiore didn't say how many shots police fired, or whether the gunman fired shots at police. Video from viewer Ashlee Erickson showed armed police officers swarming an office door shortly after the incident began. An officer with a gun could be seen outside a loading dock door. During an interview on 6abc, Erickson said: "From what I understand, it was someone who did not work there that was having a confrontation with their significant other." Erickson said she knew something was wrong as soon as the facility was being evacuated. "Then there was a massive police presence as soon as we were walking out of the building, there were a good ten cop cars, they all had their guns drawn out heading toward the main entrance of the building," Erickson said. Employee Donelle Harden had a similar account. "I noticed people running out the back exit and I asked a coworker 'why is everyone running outside?' Next thing you know I hear a gunshot and a coworker screaming 'Everybody get out, he's got a gun,'" Harden said. Chopper 6 Video: Multiple police agencies at UPS facility in Logan Township, New Jersey on January 14, 2019. Police say 32 UPS employees were transported to a nearby Holiday Inn. Charlene Carter was one of the workers. Carter said she may have been moments away from being involved herself. "The lady said he got a gun, and I ran. I ran back out the door," said Carter. "If I had clocked in he would have had me at the gate." Carter also said one of the hostages involved was the suspect's ex. "She had a restraining order against him and everything," she said. UPS worker recall start of hostage incident at UPS facility. Jeff Chirico reports during Action News at 4pm on January 14, 2019. Support is being offered for employees who witnessed the terrifying and dramatic standoff.